The practice of ancient and natural building techniques that are suppressed in the name of development are important to be brought back again. The eradication of rural styles and culture is a disease that is spreading rapidly. Very few places now talk about a lifestyle that enables one to build their own house using natural materials, that allows the houses to breathe and be taken care of as an entity. Sacred Groves is one of the few places that tries to revive such a lifestyle. It attempts to make people aware of such kind of natural and ecological living. 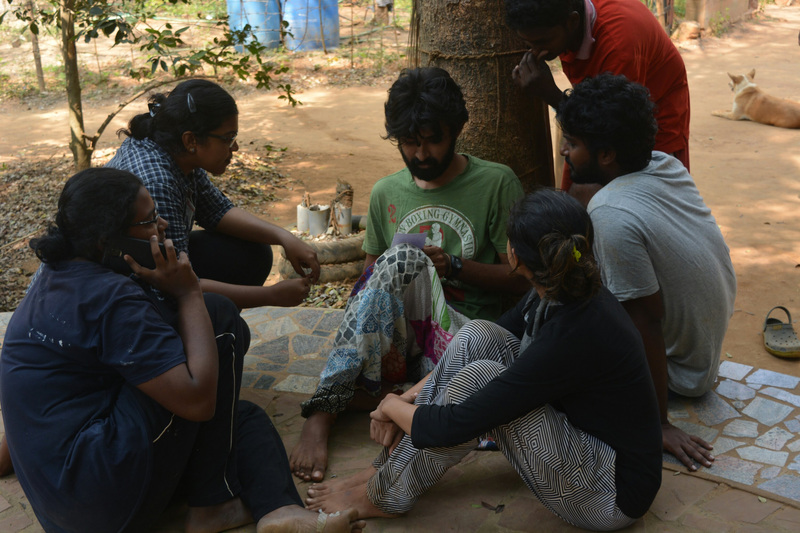 The concept of “eternal youth” by the Mother, as correctly pointed out by Sep, (Aurovillian and client and volunteer of Sacred Groves), is seen here, where every year we see a new batch of 21 year olds, determined to learn and build. It is sad how people fail to realize the harsh effects of use of cement from creating, processing, building and even the aftermath. Sacred Groves is a project that emphasizes these hazardous consequences like use of immense energy, release of pollutive gases, etc and promotes the use of natural materials in construction. They also use rubbles from destruction debris wherever possible, which otherwise would add to the environmental threat of waste generation. 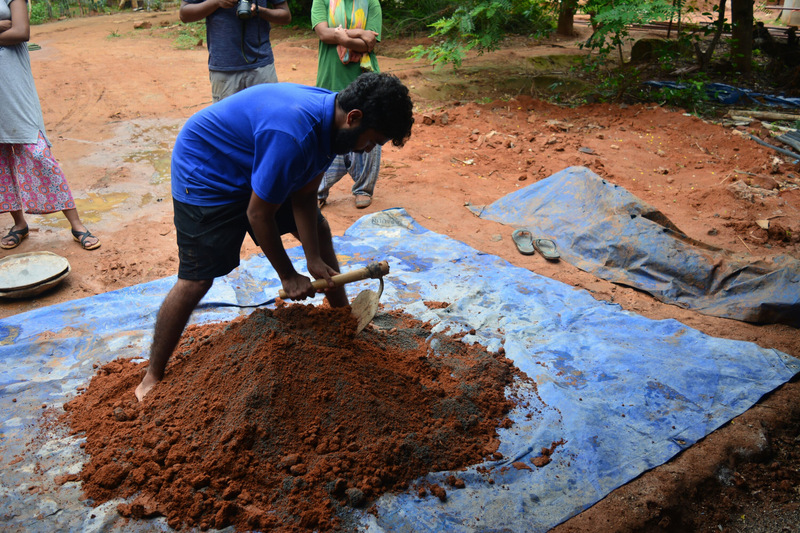 In Auroville, the major problem which prevents people from joining the community is the high expense of housing. Sacred Groves intends to build low cost, ecological housing for such people. Other than focusing on sustainable building, they encourage community living and sharing of common facilities. Sacred Groves for me, initially, was a good opportunity for an architectural exposure. It fulfills the criteria of my areas of interest in architecture which are sustainability, natural building and working hands on with natural materials. 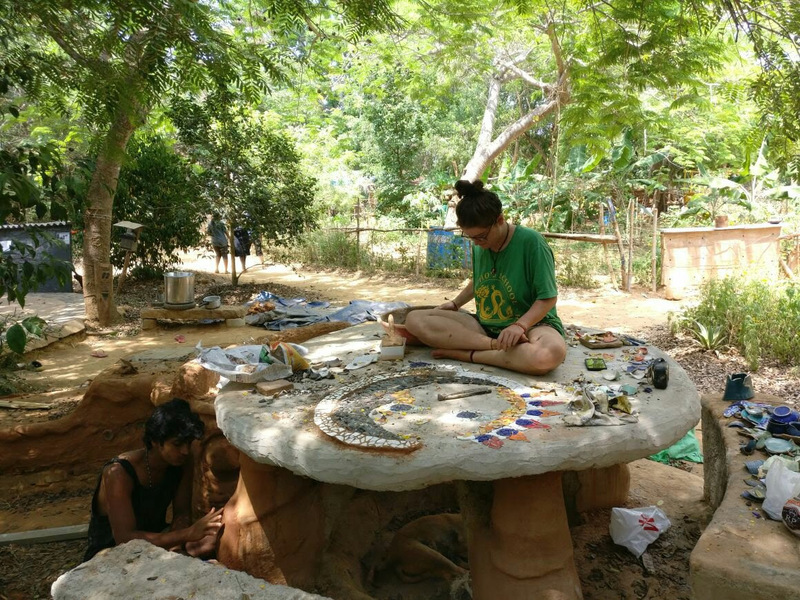 The speciality of Sacred Groves that I was unaware about was it’s style of learning and working together; a community building for a community. 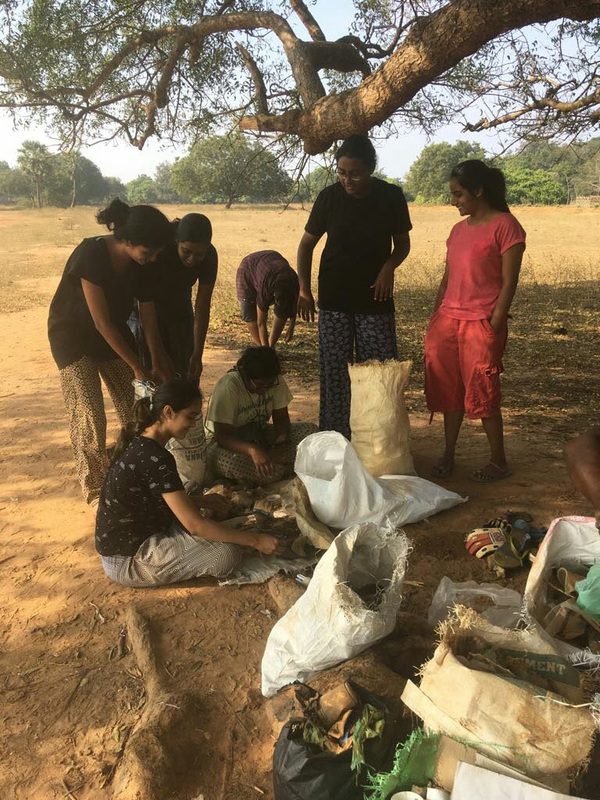 “At Sacred Groves, we believe in being together and working with energy that enthrals everybody around.” A community which is conscious about their way of living, their impacts on lives around them and the materials they use and dispose. Recognizing wastes that we are producing well enough can result to the same wastes becoming resources! We intend to create zero waste by being cautious of things we use, by reusing as much as possible and disposing what can’t be used, consciously. In a place where I did not know a single person, I left with a family. A family where everybody leaves a mark on everybody, that tries to exercise growth as a community, as a person and as a living being, in a place that revives the forgotten lifestyle. Previous PostPrevious December Workshop is upon us!